Follow Me? 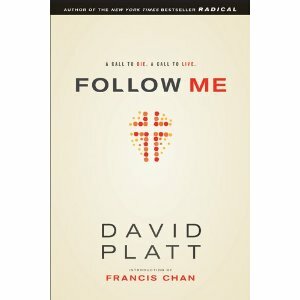 by David Platt is a thought provoking book that asks the question are you following Jesus? Though the book is not lengthy it packs a powerful punch. As Mr. Platt explains all people have a sinful nature and although that has been watered down, what it really comes down to is that all people through their sinful nature, are rebels against God. What a powerful statement! To understand that it’s not just sin but that it is the very road block that makes the person an enemy, a rebel against God. In Follow Me? Mr. Platt emphasizes faith in Jesus alone as salvation and that “Faith is the anti-work”. Being a follower in Christ means so much more than a one time prayer and church attendance. It means accepting Jesus on His terms not ours and as Mr. Platt states, “But Jesus is not customizable. He has not left himself open to interpretation, adaption, innovation, or alteration. He has revealed himself clearly though his Word, and we have no right to personalize him”. This is probably one of the strongest and most convicting sections of this book. Mr. Platt concludes by explaining that it is not about a to do list, but rather surrendering to God and allowing Him alone to provide passions, motivation and desires that are in line with His sovereign will. Follow Me? is potent and will leave the reader convicted and desiring a deeper relationship with Jesus that is biblically, spiritually and practically correct. Definitely a must read!